As promised, here is a brief post on how I organize my recipes. 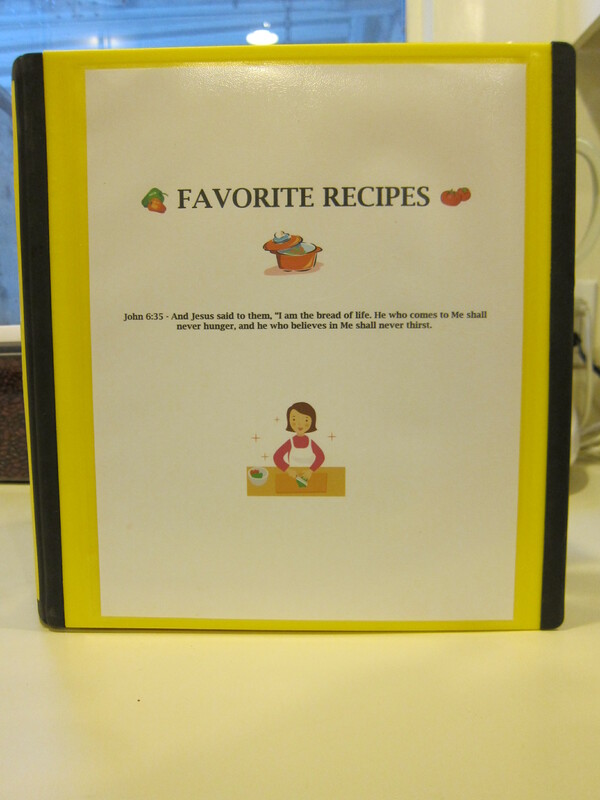 I used to keep handwritten or printed copies of recipes stuffed in a box or tossed loosely in the pantry. Since I discovered https://www.alejandra.tv/shop/ I have picked up on some easy tips on how to keep organized. If you’re a busy mom you will without a doubt appreciate this and find it very helpful. 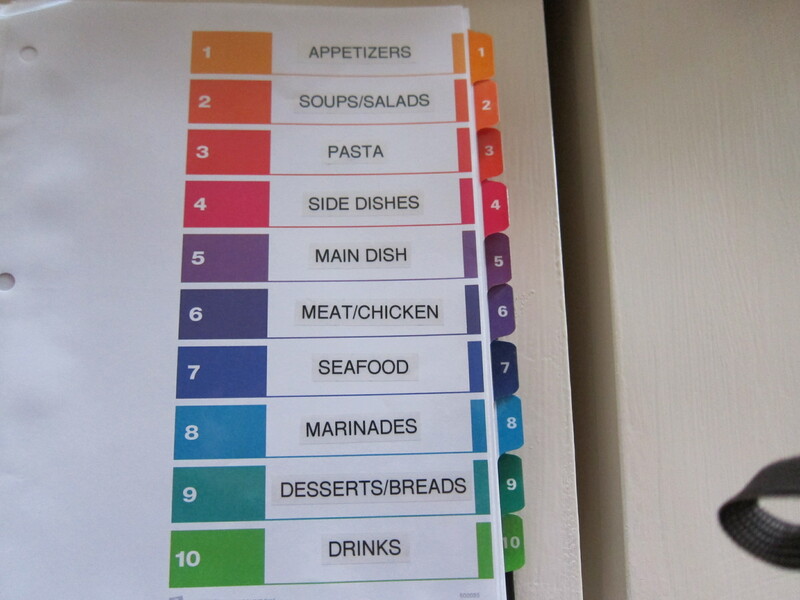 Basically all you need is a binder, page protectors, color-coded tab dividers and a label maker if you have one (or you can just use a sheet of address labels to print your categories for your table of contents.) If you want to view a video on how to do this please click on the link above and type “recipe binder” in the search box. 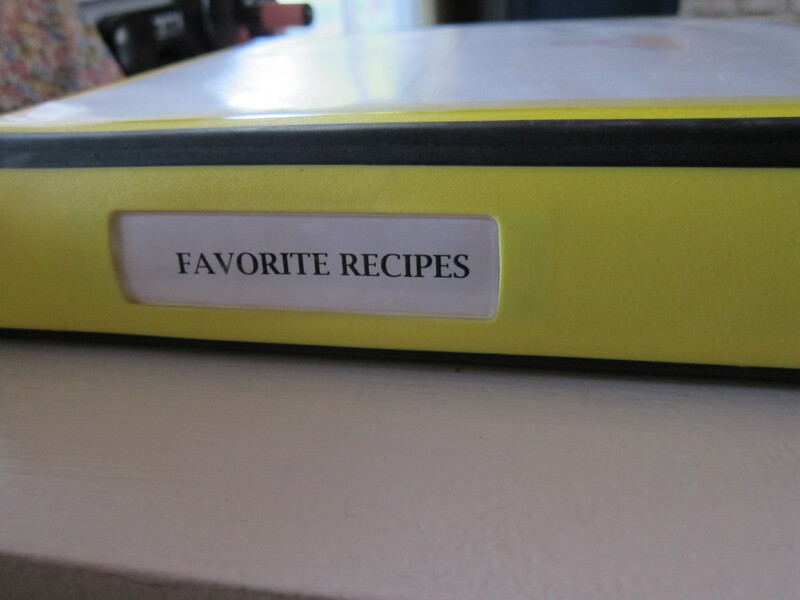 Here is a picture of my recipe binder which I keep in my pantry. Check back soon for another tip on how to organize your manuals. Bye for now. Minestrone soup on a cold chilly day…. Awesome. I too have been following Alejandra. She’s great. I love her excitement for organizing. Your book looks great.